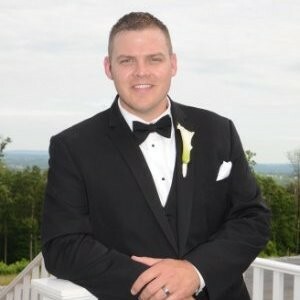 Branden Bowden is what we call a “seeker” here at The Entrepreneur’s Source®. Bowden, a husband and the father of two little girls, believes that he always had the entrepreneurial spirit. It’s a familiar problem. Every year, our coaches talk to thousands of seekers just like Branden. Many of them are seeking answers to the same question: How much does time lost with my family, my children, even myself, cost? Is this job worth it? Branden’s TES coach, Debbie Seeman, says she’s seen the burnout before. Seeman says when you add travel into the mix, you end up with burnout and troubled relationships. Many would-be-entrepreneurs are scared of taking that first step. For Branden Bowden, the problem wasn’t fear. He’d taken risks before. That’s the beauty of franchising: You aren’t wasting time reinventing the wheel. Instead, you focus on what matters most for your business to have time to focus on what matters most in your personal life. Branden found The Entrepreneur’s Source online and made the life-changing connection. Bowden was uncertain about the process at first. “She was creating a profile of my interests, my background, things I liked and what things I didn’t like. She was able to really cut through the time-wasting and get me in front of real opportunities,” Bowden says. “I do know that if she had just put another long list of possible franchises in front of me that I would have moved forward with anything. Seeman says getting to know clients first is what sets The Entrepreneur’s Source apart. Seeman coached Bowden through the discovery process. Making the change wasn’t easy. It never is. But when you make the move from Employment to Empowerment, it’s worth it! Bowden eventually decided to go with Service Team of Professionals (STOP) – a cleaning and restoration service. Bowden is the perfect example of the success you can achieve if you fight your fear and step out of your comfort zone. Are you ready to discover your best franchise opportunities, like Bowden? Get started here today with FranchiseMatch.com! Branden Bowden tells his story about how his TES coached helped him discovery the many benefits of franchise business ownership!